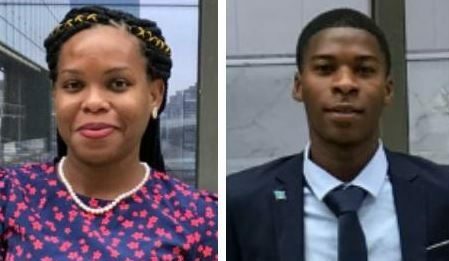 Press Release:– Two outstanding young Saint Lucians, in the persons of Rahym Augustin-Joseph from Castries and Lee Ann Edgar from Choiseul, are off to represent Saint Lucia at the 8th Annual Economic and Social Council (ECOSOC) Youth Forum at the United Nations Headquarters in New York. The Forum is scheduled for April 8th to 9th 2019. 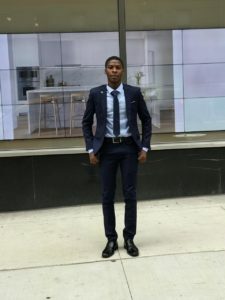 Rahym, a member of the Saint Lucia debate team for the past two years, currently serves as the President of the Student Council of the Division of Arts, Science and General Studies at the Sir Arthur Lewis Community College. Lee Ann is a teacher at the Choiseul Secondary School, and a youth leader in the community of Choiseul. The ECOSOC Youth Forum takes place at a critical point in time as the world is working to address the disadvantages of the current trends in globalization, which are not sufficiently sustainable or inclusive. The Forum will address the theme, “Empowered, Included and Equal”, which is aligned with the theme of ECOSOC and the High-level Political Forum (HLPF) “Empowering people and ensuring inclusiveness and equality” in 2019. It will also review progress in the areas of quality education (SDG4), decent work and economic growth (SDG8), reduced inequalities (SDG10), climate action (SDG13), peace, justice and strong institutions (SDG16), and partnerships for the goals (SDG17). Rahym and Lee Ann will join youth leaders from across the world to add their voices to the discussions at the Forum. 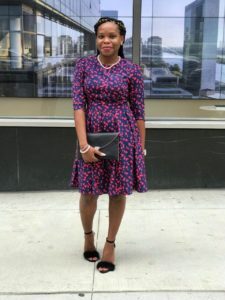 Both youth leaders are looking to learn as much as they can, and excited about impacting that knowledge on the youth of Saint Lucia when they return. Saint Lucia was represented at this Forum by Zia Barnard in 2018, who has since gone on to become the Chairperson of the SLNYC Youth Ambassadors Network and by Raejean Montoute in 2017, who has since gone on to become of General Secretary of the Saint Lucia National Youth Council.